Firstly I would like to thank you for all the time and effort you must have put into creating your website - I have spent hours looking through it so far and have not seen it all yet! I am not a Maserati owner but have decided I will be one day when funds allow - the running costs keep putting me off. 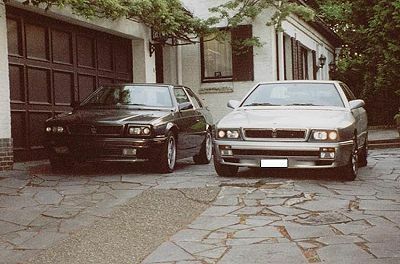 I used to be a member of the Maserati Club UK and think we must have met at Bradley Hall in the Peak District (my Fiat Punto was parked next to a Silver/Grey Ghibli). 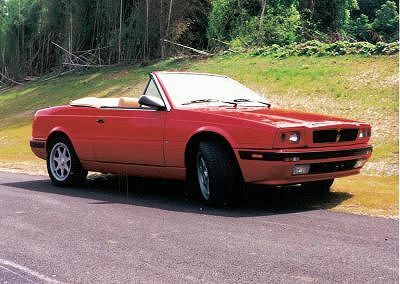 I have now moved up to a barchetta (Fiat not Maserati) and I am aiming for a Ghibli like yours. Anyway, I thought you might want a picture that my partner, Rachel, took when we went to Stanford Hall - this is the low resolution version, let me know if you want me to send you the hi-res version. The other day I saw a Ghibli Cup advertised in one of Italy's premier used car magazines. Being interested I telephoned the vendors, Ferasin Automobili Srl of Limena, Padova and asked them to fax me details. 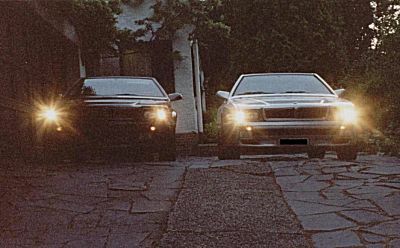 Less than half an hour later I received a 7 page fax containing not just details of the Ghibli Cup for sale but also excerpts from a recent road test and four pages from a Ghibli Cup brochure that included power curves (bhp and torque) comparing the standard 2-litre Ghibli and the Ghibli Cup. A surprise package from the MOCNA! The officers of the Maserati Owners Club of North America have decided to cease operations and have now joined with The Maserati Club (TMC), one of the largest factory recognized Clubs in the US. 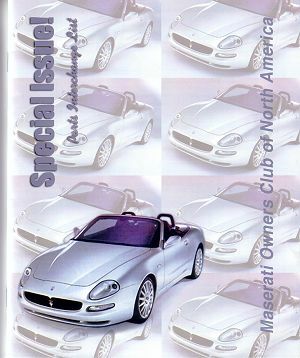 A very informative CD accompanied the final newsletter as a way of sharing with all its members the benefits of many accumulated years of Maserati ownership. The Technical Reference Library CD is a compendium of articles written by MOCNA's greater membership and published in their Quarterly from 1981 to 2002. The final newsletter was by way of a Parts Interchange List compiled from member's contributions. On behalf of the members, past and present, who were fortunate enough to receive one of these CDs, I would like to thank the Club and in particular Ken Olsen, President and Founder of the MOCNA, for this magnanimous gesture. Volume 23 Spring/Summer 2002 - The last newsletter! One of a kind in Germany! Hans-Joachim Weise of Schroeder & Weise Classics, Germany has very kindly given me permission to publish these photos of this rare 1957 Maserati 150 GT Spyder, presently for sale at their showrooms in Hanover. This car is the only road-going sports car version of the highly successful Tipo 150S sports racer ever produced. It is powered by the same 1½-litre (1484cc) 4-cylinder engine producing some 130 bhp at 7500 rpm. 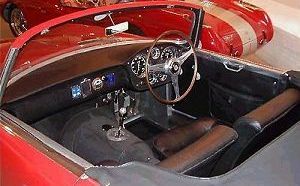 The bodywork, the work of Carrozzeria Fantuzzi, is heavily influenced by Pietro Frua's design for the A6G 2000 Spyder. They can be reached on: +49 (0)511 - 52 35 42. On the 28th August 1955, Frenchman Jean Behra driving a Tipo 150S won the 500 kilometre race at the Nürburgring. Maserati Sport, Racing & GT Cars from 1926 by Ricard Crump and Rob de la Rive Box contains a photograph (page 145) showing this 150 GT Spyder with a V12 350S in the background taken at the factory in 1959. 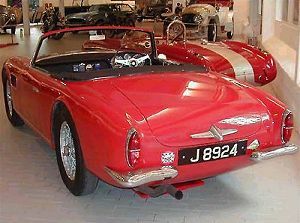 Maserati Spyder - A History by Jürgen Lewandowski contains a excellent chapter (page 26) featuring this rare Spyder with many black and white photographs. Interesting news from Lee in the UK. A short time ago Lee and I were discussing car insurance premiums via e-mail. 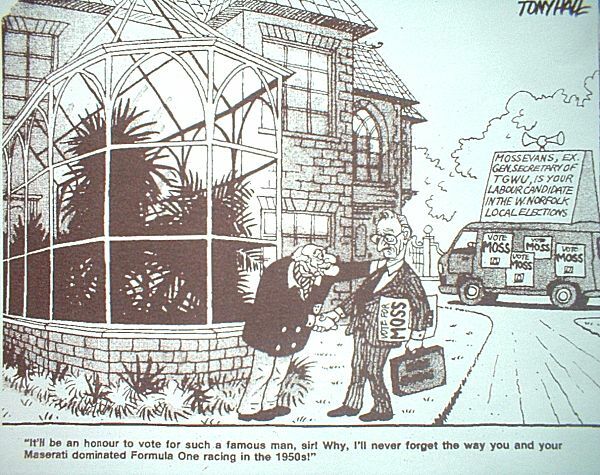 He wrote telling me about AON, the insurance brokers, who had given him a very competitive quote for his cars. This month it was time to renew my present policy and I gave them a call. As my Maserati is my 'second car' (ie I don't use it as my every day form of transport) I received what I thought was an excellent quote and duely signed up. 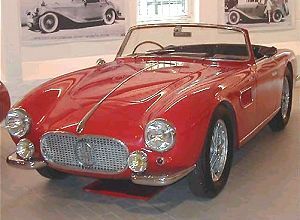 It appears that AON specialise in insuring 'classic cars' and Maseratis, even later examples, fall into this category. They will even quote for the more modern Maseratis, providing they are 'second cars'. They can be reached on: 08705-708090. If your policy needs renewing, try giving them a call. You'll be pleasantly surprised, I was! From Lee in the UK. 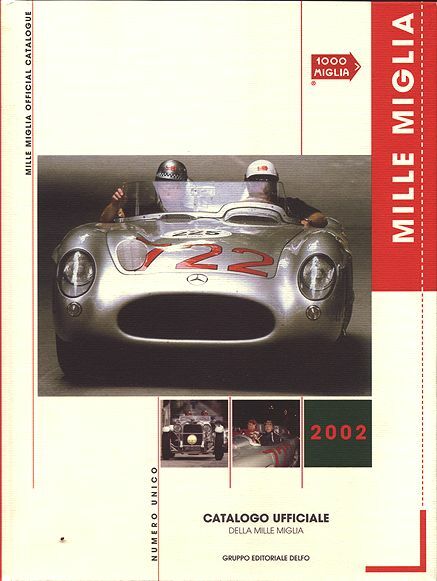 Lee was lucky enough to be in Brescia, Italy at the time of this year's Mille Miglia and has very kindly sent me this scan of the Official Catalogue. Let's hope he sends us some photographs of the Maseratis that were taking part! From Paul in the UK. Just a quick note. Sadly a few months ago my father-in-law Moss Evans passed away. Moss was a great union leader (Transport and General Worker's Union) in the days of old. Being highly active during the Ford strike and the 'Winter of Discontent' he was duely loved and hated by many. After his retirement he mellowed somewhat and was talked into standing for local elections among many other requests. I send a newspaper cutting from that period. 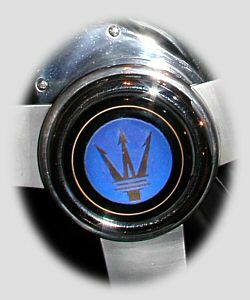 the way you and your Maserati dominated Formula One racing in the 1950s!" By the way Moss won, a turn up for the books, finally to become mayor. Hello Henry, how are you doing? 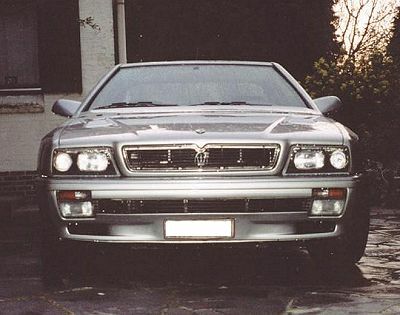 I've attached some pictures of our new Ghibli GT and our 222 4v. that has now been sold. What a shame! 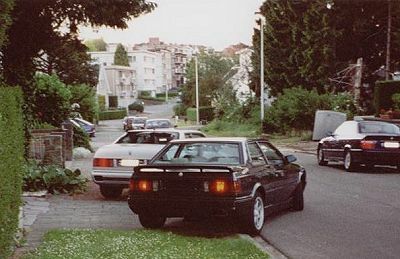 We have taken some pictures of both cars. I hope you can find space for the pics. The guy behind the wheel of the 222 is me! 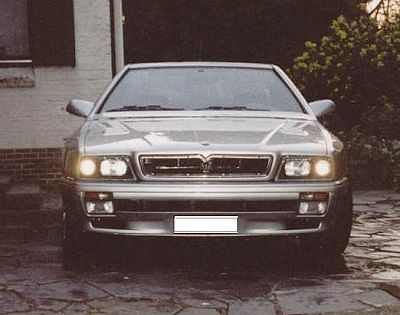 The Ghibli is a 1997 2.8-litre GT with abs and airbag. One last look! Gwen at the wheel of the 222 4v. Gwen's Ghibli GT. 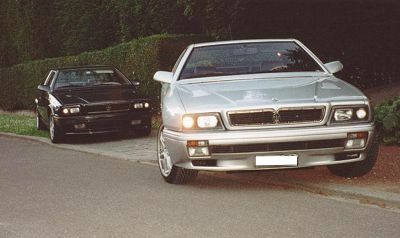 Note the Maserati badge on the bonnet a la Shamal! The view that makes most drivers move over to let you overtake. Is this what is meant by the phrase "seeing the back of it"? Side by side, the old and the new. The elegant and pleasantly understated lines of the 222 4v. and the Ghibli. The poor old 222 4v. is already in the shade! I hate to mention it Gwen but the flash is supposed to be on the camera! From Horacio in Virginia, USA. Horacio has sent these photos of his 1989 Spyder that has been aesthetically modified to look like a 1993 model - Zagato Spyder. The car has just reached 10,000 miles and Horacio would like to hear from anyone who has installed Brembo brakes on a Biturbo? Note the eye-level brake light! 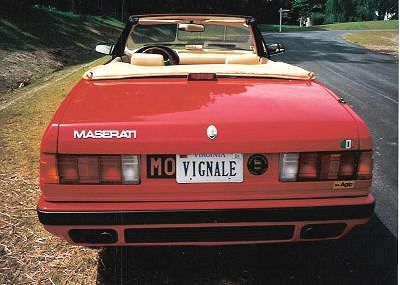 Alfredo Vignale - Carrozzeria Vignale - was Horacio's father's cousin. 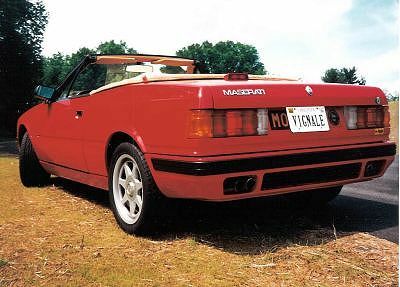 A 1989 Biturbo Spyder with the 1993 look! Giulio Alfieri 1924-2002. Maserati's automotive genius! It was with great sadness that I heard of the passing of Giulio Alfieri on the 20th March 2002. Dott. Ing. 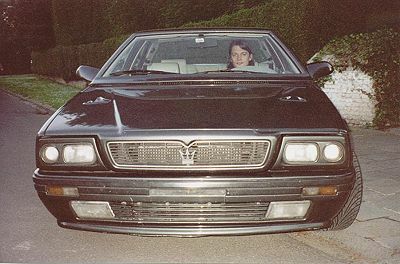 Giulio Alfieri's technical wizardry will forever be remembered in the annals of Maserati's great history. 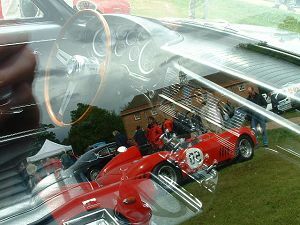 He was associated with many projects from Fangio's 250F to the V12 engines that powered the F1 Cooper-Maseratis of John Surtees and Pedro Rodriguez. But his greatest triumph was the creation of probably the most loved sports racing car of all time, the Tipo 60/61 'Birdcage'. I found this snippet of information in the January 1995 issue of 'Auto d'Epoca'. 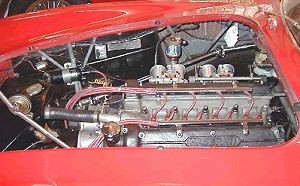 When in 1968, new owners Citroen gave Sig Alfieri six months to design a light, compact engine for their new SM, Alfieri smiled and replied, "Three weeks should be plenty of time!" I am sure you will all join me in conveying our deepest sympathies to his wife Camilla and his son Vittorio.